The Internet is what you make it. You can teach yourself a new language, learn how to play an instrument, or become a self-taught expert in just about anything. Unfortunately though, it’s easier to just waste time with social media. When the British government began publishing WWII propaganda in 1939 with the words “Keep Calm and Carry On,” no one expected the phrase to catapult into Internet infamy 70 years later. 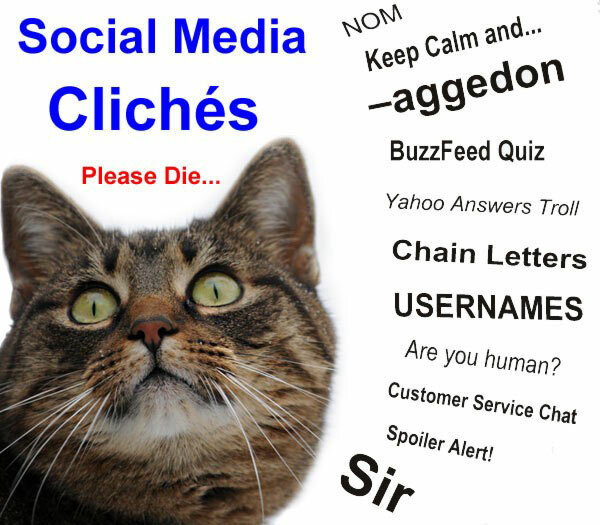 This annoying phrase is echoed throughout social media in phrases like “Keep Calm and Eat Bacon” or “Keep Calm and Swag On” or, my personal favorite, “Keep Calm and Relax.” Really, doesn’t that sound a bit redundant? This simple cliché is the poor man’s excuse for Internet creativity – the online equivalent of nails on a chalkboard. Please, just don’t wear a t-shirt with this awful slogan. Do you love cats? Do you just want to hug them all? If so, you’re not alone. The social web has a strange obsession with cats. Cats playing instruments, cats wearing glasses, cats in music videos – cats and the Internet go hand-in-hand. But it’s 2015 now and Grumpy Cat and Nyan Cat have overstayed their welcome. It might be about time for the Internet to adopt a new mascot. Nothing is worse than when mainstream news agencies adopt social media’s worst clichés. In January 2015, that’s exactly what happened – New England was clobbered by none other than “Snowmageddon” or the dreaded “Snowpocalypse.” The end days must be upon us because these mind-numbing buzzwords have infiltrated the Internet as we know it. Sites are now publishing articles about the “iPhoneaggedon” while students talk about “Exam-ocalypse.” We all should have stopped using the word Armageddon as soon as Bruce Willis made that horrible 1998 movie of the same name. Sure, it might be easy to grab people’s attention with the excitement of the apocalypse, but the phrase has simply become far too overused. We all have that one Facebook friend that loves to post the results from Buzzfeed quizzes. Just one question: why would anyone ever care which Mean Girls character matches your personality? Why would I ever want to know your favorite Disney princess? If you’re that person that loves to share the results of their Buzzfeed quizzes, just realize that you’re slowly making the Internet a more frustrating place for everyone that doesn’t care which Hollywood actor is your soul mate. We get it – the quizzes are kind of fun, just keep the results to yourself. Let’s make a new rule: “spoiler alert” can only be used when referring to a surprise twist in a book, TV show, or movie. If you’re using this term in casual messages to friends, you’re just not doing it right. Trolling is the Internet’s favorite pastime. Posting deliberately inaccurate responses can provide a chuckle or two, but even gullible users know better than to fall for these tricks. It’s a real shame that Yahoo! Answers is always at the top of Google search results, yet everyone knows to avoid it like the plague. 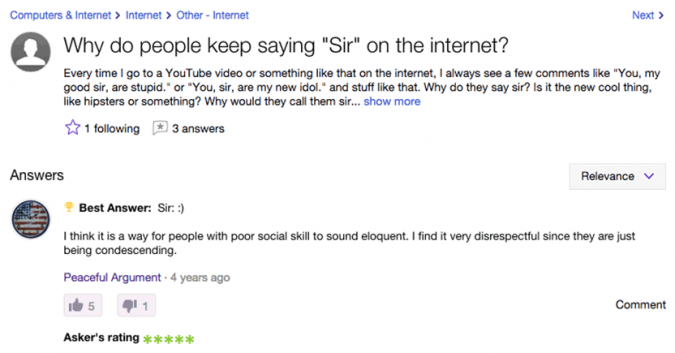 There exists a level of unspoken etiquette within the social web, and if we’re trying to make the Internet a better place, let’s get rid of this pointless dishonesty. Since when did liking a Facebook post translate into medical treatment? For some reason, these posts frequently involve sick kids and how you can help with a simple click. Whether these stories are real or not, if you repost these stories for a few extra Facebook likes, then you are the sick one. Making a clever username is difficult. How can you come up with something that’s both annoying and recognizable? You got it: hit Caps Lock, throw in a few underscores, and think of the most obscene three-word combination possible. Before even reading their post, you know this is the guy whose sole purpose on the Internet is to frustrate others. When you see ALL_CAPS_USERNAME posting somewhere, just remember to keep scrolling. The days of Farmville are finally over, but you might still receive the occasional app invitation. Nothing is more annoying than logging into Facebook and finding a message from on old friend. “Hmm, I haven’t heard from this person in years,” you tell yourself as you open the message: “You’ve been invited to play Candy Super Crush 3 with [insert friend’s name here]!” After all these years, this is how you’re going to try to reconnect? At this point, I’d rather just unfriend you. Why is this still a thing? I seriously doubt anyone has ever had a positive experience with online customer service, yet companies still insist on having these useless features pop up in the bottom corners of their site. Really, the entire idea of online service chats is flawed. How am I supposed to know if the person I’m chatting with is even a real person? Why aren’t they giving me a single helpful answer? More importantly, why are they telling me to call customer service if this is supposed to be customer service?!? Really though, I just feel bad for the people on the other end of online customer service chats. Think about how frustrating it is to communicate with strangers in social media, and then think about how these people have to put up with that for hours on end every single day. Captchas are an important part of web security and eliminating automated bots from ruling our favorite digital social destinations. Unfortunately, far too many sites think it’s clever to ask “Are You Human?” In fact, this question has nearly become a prerequisite for every captcha on the web. There’s not a problem with Captchas, there’s a problem with this question. At its core, the phrase just sounds…weird. Out of context, this simple question takes on a whole new philosophical meaning, but because it precedes a captcha it’s somehow alright. Even if I weren’t a human, would this simple question really dissuade me from trying to beat the system? If your site requires me to fill out a Captcha, I’m fine with that – just spare me this quirky phrase. If you haven’t heard about #nofilter in the past year, then you must be living under a rock. Social media users (especially on Instagram) use this hashtag to refer to photos that haven’t been edited. The phrase essentially means, “Look how good of a photographer I am because I didn’t even have to change the contrast in this photo!” I don’t really understand why people brag about not using filters, because isn’t that what Instagram is for anyways? If you take a cool photo, that’s great – don’t brag about your iPhone photography skills. If you seriously use these hashtags, you probably don’t realize that your followers are secretly mocking you. Going to the gym is a good thing – talking about your “gym rat problems” isn’t. Michael is pre-law student at UGA. He writes for Leverable and other business and digital marketing blogs. He's known to immerse himself in international and technology news. The only one that would be tough for me to let go of would be cats. And I sort of like the word “mopocalypse” for the Google mobile update. Cats still attract clicks which is why they aren’t going away any time soon. I personally love sites that have live chat as long as they are staffed by real humans who can actually answer questions and resolve issues. I have no doubt that sites who interact with potential customers close more sales and onboard more clients. 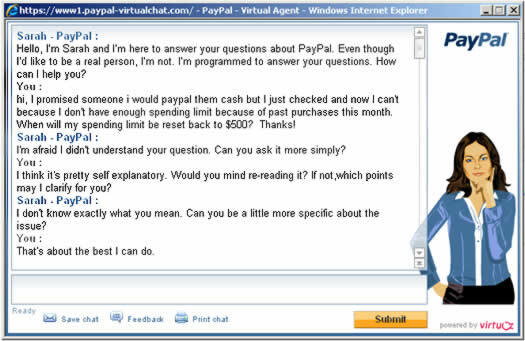 I am NOT a fan of those “live” chat cutouts who pretend they’re human. If you ask the right questions (or the same question repeatedly) you can determine whether they are real or not. It irritates me when they are programmed to say they are when they clearly aren’t.